Exciting news for the managing director of Folkestone based search marketing agency, Sleeping Giant Media this morning. Managing Director, Luke Quilter (28) has been confirmed as an Olympic Torch bearer for 2012. He’ll be carrying the flame through his home town of Hythe on the 18th of July, trying desperately hard to not drop the thing, or burn down large sections of the high street. Luke had this to say: “I feel really proud, firstly to be nominated but also to be selected for such an amazing event. It is going to be a busy week for me, as 2 days after carrying the torch I am getting married in Germany!”. The process has been lengthy, stretching over 6 months, with regular teasing updates as to Luke’s provisional status as a torch bearer, only having been confirmed last Friday. Luke was originally nominated for his efforts within the local business community. As a board member for the Kent Foundation for Young Entrepreneurs, and winner of the KEiBA Young Entrepreneur of the Year 2011, Luke is well qualified having set up Sleeping Giant Media in the depths of the recession, where the business continues to thrive and looks forward to welcoming its 9th member of staff very shortly. 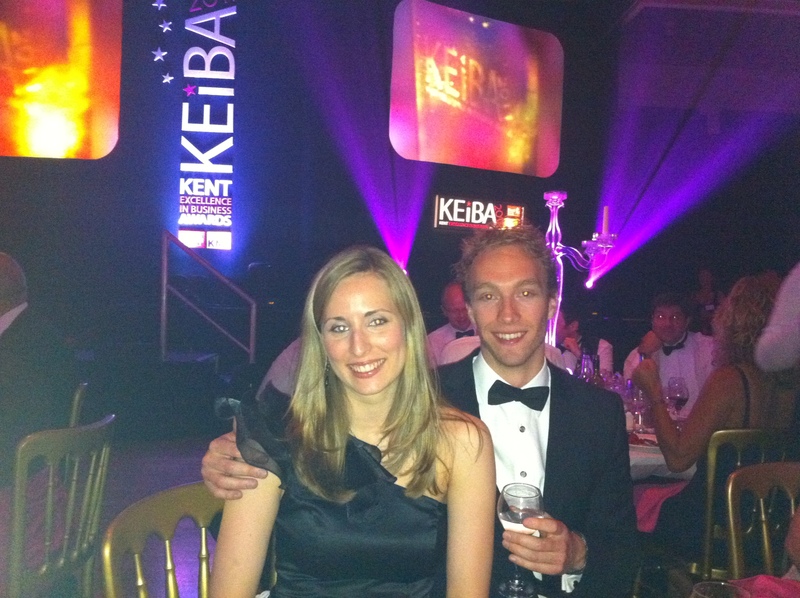 Luke and his fiance, Isabel Siewert, at KEiBA 2011.